"One of the most popular luxury heritage hotels in Darjeeling, the Elgin is a 125-year old property, which used to be the summer residence of the Maharaja of Cooch Behar. The hotel offers stunning views as it lies on the altitude of 6000 feet amid the Himalayas. The property has a colonial charm due to its history and architecture. The ambiance is warm and welcoming, setting the mood perfect. The modern additions have only added to the lavishness. Candle-lit tables, lithographs, Burma teak furniture, crackling fireplaces, grand piano, wooden paneling, fireplace, oak flooring, add to the old-world charm. The hotel has also played host to VIPs like the Crown Prince of Sikkim to Dominique Lapierre and Mark Tully, and the US Ambassador. 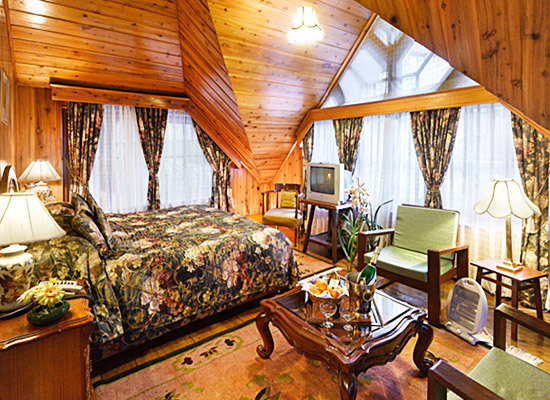 The rooms and suites are spacious, well-furnished and have all the modern facilities. The restaurants serve lip-smacking Indian and World cuisines along with a selection of drinks. Business services, beauty services, library, game rooms, children's activity centre and the Therapy rooms are the other conveniences. The Elgin was constructed way back in the year 1887, amid landscaped gardens The property’s first owner was the Maharaja of Cooch Behar and the last one was Nancy Oakley in the 1950s. After restoration, the same grandeur has been kept absolutely intact. The views of the town and the valley are wonderful. 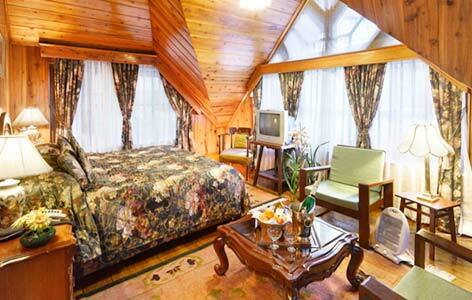 The property is at a walking distance from a number of Darjeeling attractions. There are 25 rooms and suites at the Elgin mansion, filled with interesting stories of the royal days. 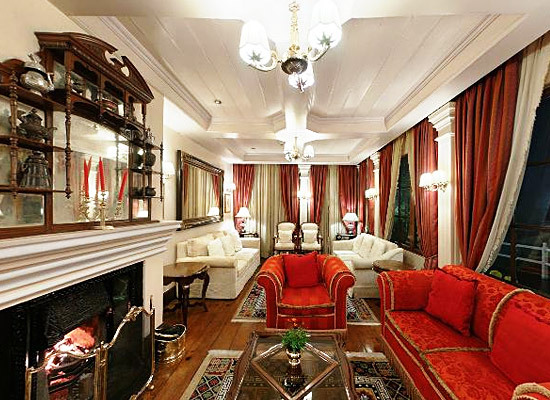 The interior with paneling, Teak armoire, pillars and chandeliers looks plush. The accommodation is spacious, well-lit and airy, along with refreshing views of the garden or the town or the valley. Hot water bags and the fireplace do not let the cool weather disturb your holiday. The Victorian décor is simply mesmerizing. Wooden walls and sloping roofs add to the charm. Leisure as well as business guests can have a memorable stay amidst modern facilities and amenities. LCD television with satellite connection, electronic safe, Direct dial telephone, free wireless internet access, LCD Televisions in all rooms, minibar, room service, option of twin or king-size bed, center table with chairs, cushioned sofa, tea/coffee maker and work desk are modern amenities and facilities here. The attached bathrooms feature shower, designer complimentary toiletries, bathrobes, a vanity counter and bath slippers, etc. Available on the basis of Single and Double capacity, the deluxe rooms offer the views of the town and the garden of the property. The décor is wonderful and Burma teak flooring looks interesting. The elegantly designed suites are well- appointed and come with a bedroom and an adjoining spacious living room. Burma teak flooring add an interesting character. 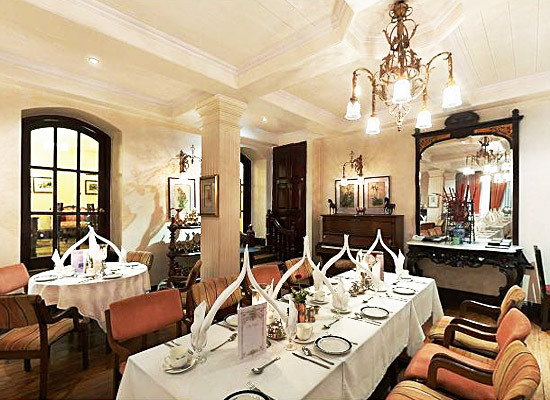 The staff at the Elgin offers a royal dining experience to its guests in the same manner as the Maharaja of Cooch Behar used to treat its guests during his parties. The grand piano at the Orchid looks wonderful and adds to the classical interiors, setting the mood perfect. Both savory and sugar delights of different faces are cooked with same love and care. One of the highlights is different variety of tea, from the world-popular tea gardens of Darjeeling. The Orchid Dining Room is the fine-dining restaurant where the guests can enjoy a selection of European and Asian delicacies. The chefs also prepare scrumptious dishes of other cuisines including Indian, Continental, Italian and popular Regional fares. The lithographs, chandeliers and wood paneling add an elegance to the old-world feel of the venue. The Gazebo in the garden area comprises of a light menu offering a variety of finger-licking snacks and eclectic drinks. It is operation from 11 AM to 6 PM. Located at the lobby level, the Tea Lounge & Timber Bar has a wonderful ambiance. The fire place at the venue looks quite interesting and is open from 11 in the morning till 11 at night. It is ideal for informal business meetings and a relaxed lunch. Enjoy your favorite tea or a drink, as you like. Darjeeling is probably the most popular hill station of West Bengal, which is often clubbed with Gangtok for a vacation. The place has scenic locales, wonderful climate, and interesting culture. Tiger Hill, Ghum toy train, Himalayan Mountaineering Institute, Japanese Peace Pagoda, Observatory Hill, Tibetan Refugee Self-Help Center are some of the most popular attractions of Darjeeling that must be visited.